On April 3rd, Verizon Wireless announced that it had launched its 5G NR service in Minneapolis and Chicago. Starting on April 4th, SRG commenced its benchmark study of the network. We are in the very early stages of testing the network, which will extend through April 10th. Our Thanks. This study would not be possible without the invaluable support of our test equipment partners, specifically Accuver Americas, Rohde & Schwarz, and Spirent Communications. 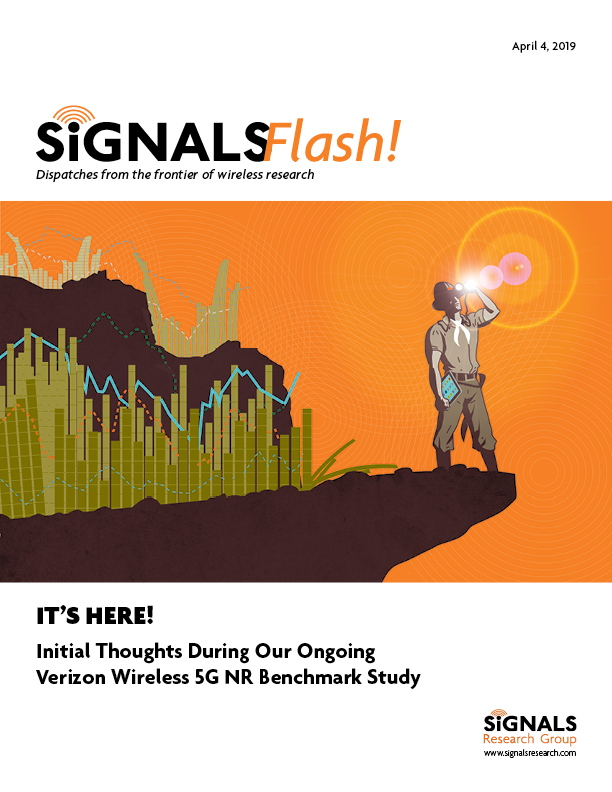 Later in this Flash, we discuss how they contributed to the study and how we will use their various products to analyze 5G NR performance. Background. Verizon provided us with two Motorola Z3 smartphones, the 5G Moto Mods, and SIMs. We also received some additional clarification on where we could find 5G NR coverage in the two cities, although we had already figured out Minneapolis. Otherwise, Verizon isn’t involved in this independent study, which we are doing for the benefit of our subscribers. The Results. Saying we have meaningful results now is akin to claiming victory after the opening kickoff. However, someone will surely ask about network performance, so we include a high-level teaser without any underlying network metrics.